The unified Korean women’s basketball team for the 2018 Asian Games has been drawn against Chinese Taipei, Indonesia, Kazakhstan and India in Group X, it was revealed today. The OCA approved a proposal from North Korea and South Korea last week to form a joint team in women’s basketball, as well as dragon boat and rowing. The unified team in three sports and six events will be playing as "Korea" under the unification flag and using the Korean folk song Arirang as the anthem. In women’s basketball, the defending Asian Games champions South Korea will have North Korean players alongside them. 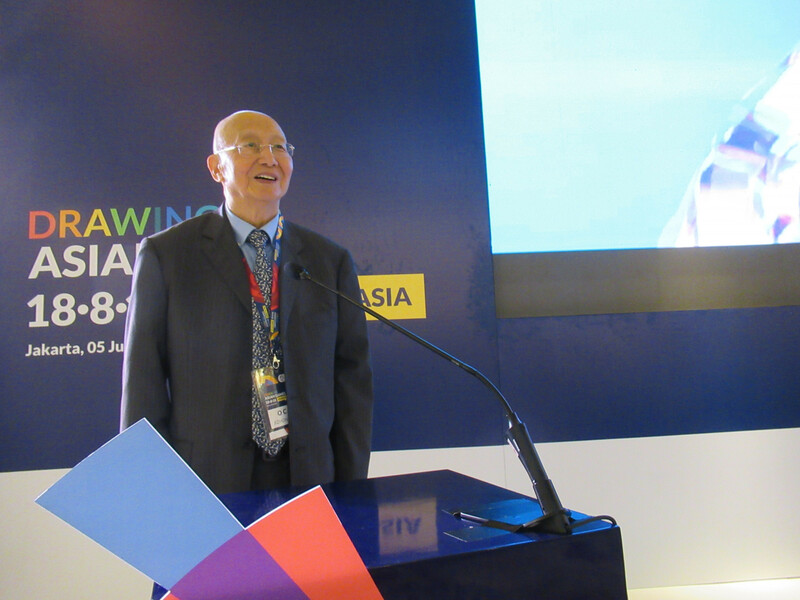 "I think it is very good to have a unified team because it will promote friendship between the two sides of the Korean peninsula," Wei Jizhong, the OCA’s life vice-president, said after the draw at the JS Luwansa Hotel and Convention Centre in Jakarta. "The International Olympic Committee (IOC) has already encouraged both Koreas to change, so the OCA will follow the IOC." Wei also announced that the 18th Asian Games had attracted the largest number of athletes in history, with between 10,500 and 11,000 expected to take part in the 40 sports and 67 disciplines. The previous highest was 9,704 at the 2010 edition in Guangzhou in China. "Good news for Indonesia because we have a record number of participants," Wei said. "This may cause some difficulties but I am convinced that the Organising Committee INASGOC (Indonesian Asian Games Organising Committee) has the capability to find a good solution with the OCA and all parties." China, Japan, Thailand, Hong Kong and Mongolia will play in Group Y in the women’s basketball competition. Sport has been used as a key vehicle to try and achieve peace on the Korean peninsula, especially since the countries took part in a joint march at the Opening Ceremony of the Pyeongchang 2018 Winter Olympics in the South in February. A joint women's ice hockey team took part at those Games. The draw for seven team sports involved 36 countries and regions. North Korea and defending champions South Korea have both been drawn into Group A of the women's handball event along with Kazakhstan, China and India. Group B is made up of Indonesia, Japan, Hong Kong, Thailand and Malaysia. The 2018 Asian Games are due to be held from August 18 to September 2.